Hello, to all our ribbon-loving friends. 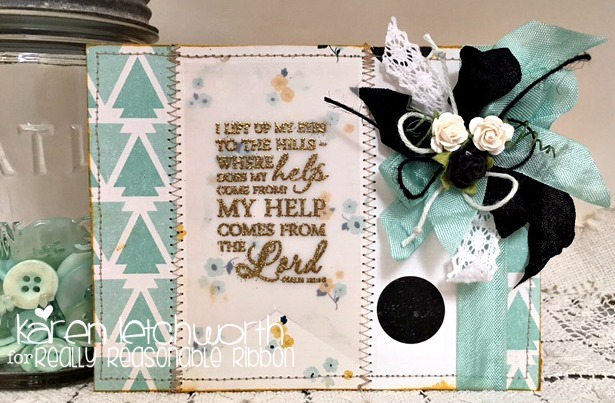 Today I'm sharing a sweet project that I created for Really Reasonable Ribbon, and I really hope it inspires you to stop by and check out all the AMAZING ribbons, laces, trims and more that are carried in the Really Reasonable Ribbon shop. There's SO MUCH to see. This card was created using some patterned papers that I inked and machine stitched together. Once I had done that, I added some fabulous trims from the best little ribbon shop ever - Really Reasonable Ribbon. First, I put a lengh of the super lovely Bay Leaf Seam Binding on the card. Then, I created a bow with the Bay Leaf Seam Binding, Black Seam Binding, Solid Mint Baker's Twine, and Black Burlap String by May Arts. I topped that pretty bow with a Black Open End Rose and two White Open End Roses. 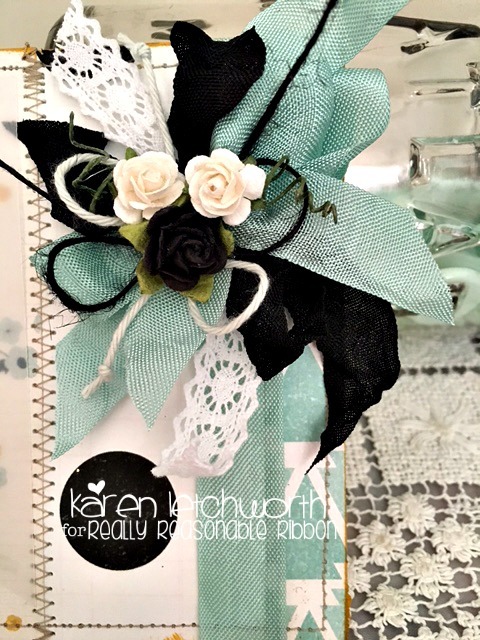 There are so many lovely flowers and embellishments at Really Reasonable Ribbon in addition to all the amazing ribbons and trims they carry. There's never a lack of availability, and you're sure to find LOTS of great items. So, why not head on over to do some shopping now? 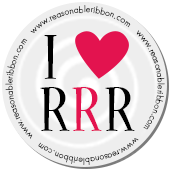 You will absolutely LOVE their selection, prices and ALL the great inspiration you will find on the Really Reasonable Ribbon Blog. AND.....there's a fun challenge going on now. So, be sure to stop by and play along.